Do you know someone who has got a chow-chow dog? 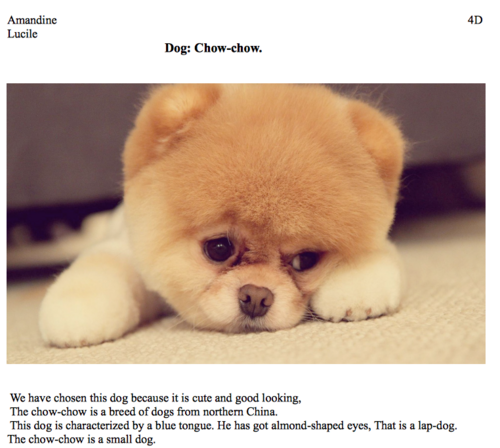 pauletteloveenglish: Yes , my friend Anthony has got a chow-chow dog. He is sooooo cuuuute !!!!!!!! !